Coastal cottage room with nautical elements. Coastal spaces with nautical touches. Mixed prints and patterns of the ocean bring a nautical feel to this coastal space. 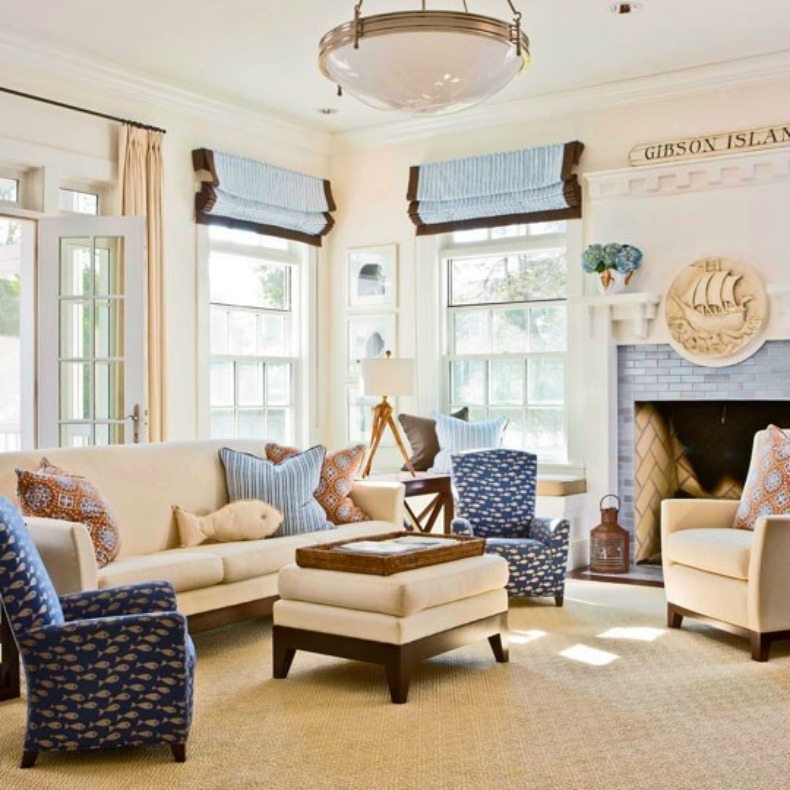 White slipcover sofa and chairs are grounded with a nautical stripe area rug in this Coastal Living Room. 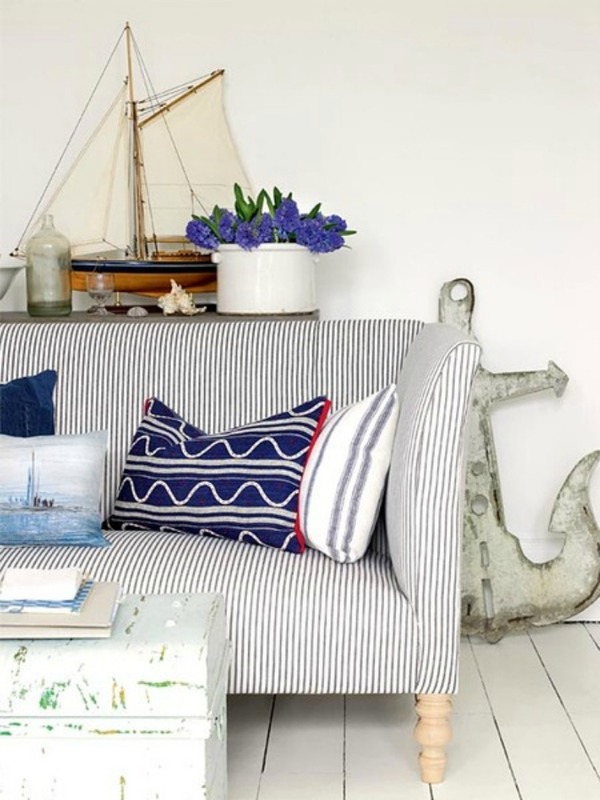 Blue and white ticking coastal stripe sofa is complimented with nautical throw pillows of ships and waves.